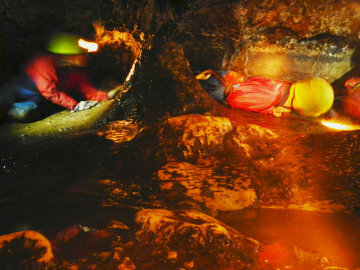 The caves of Stoney Middleton Dale have provided generations of cavers with their first introduction to the sport, and large groups of schoolchildren can often be seen in the lay-by just west of the village, preparing for their first supervised caving trip. The caves are never large and spectacular, rather they are often small and muddy, but they are extensive. There are no long vertical drops, and there are no long and arduous crawls until one ventures off the beaten track into the farther reaches of the caves. In the area between Stoney Middleton and Eyam there are many caves and old mines, and the caves and mines are inextricably linked. Old lead mines broke into natural caves, and explorers in the caves often find themselves in old mine workings. Thus at Stoney Middleton, the term cave system may refer to a network of passages which are mostly natural, but often are artificial. 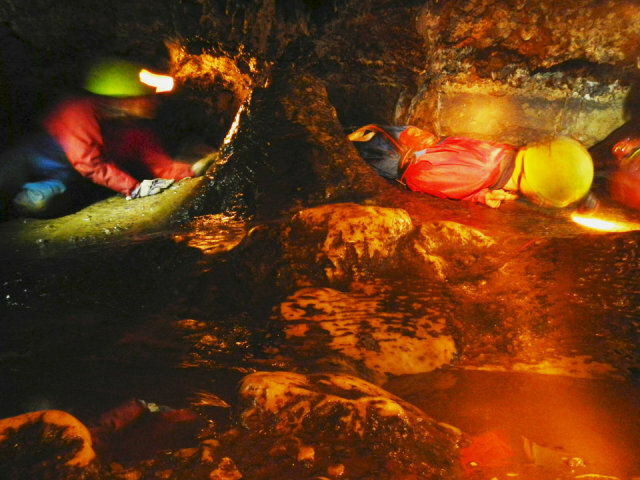 The largest cave system was referred to by Dr Short in his History of the Mineral Waters in 1734. 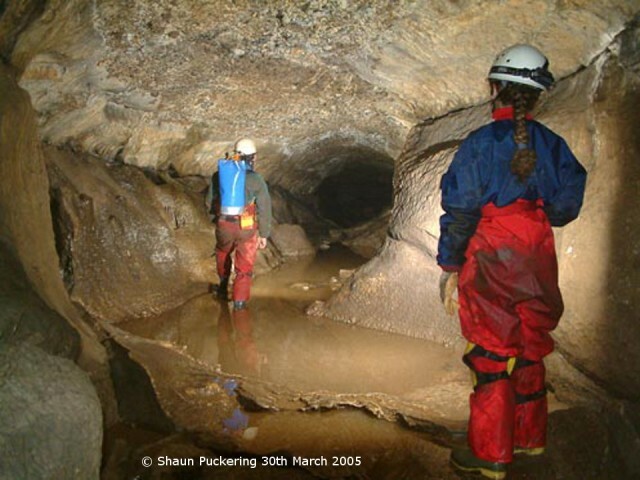 Short described Carlswark Cavern, and said that the cave passes right through the mountain and emerges in Eyam Dale. He went on to say that by another of its grottoes it emerges near Fowlow (Foolow). Yes, it does emerge in Eyam Dale, but the continuation to Foolow is unknown despite decades of digging in search of it. A number of discoveries have extended the limits of Carlswark north to Eyam and westwards to Cucklet Delf, but there is still a lot of cave to find between Carlswark and the points where the water sinks into the limestone around Foolow.